Today is Christmas. As born again, children of God we know the reason for the season. We know Christmas is about the celebration of Jesus' birth. As true as that is, Christmas is so much more than that. It is the celebration of the love and the amazing Grace of God. In this time we celebrate what our good Father has done for us. He gave us the greatest gifts of all, the new creation, the gift of no condemnation and eternal life. This is why we lift up the name of Jesus in this season. Christmas is certainly the most wonderful time of the year. We see such peace and joy and harmony around the globe. Stories abound of the kindness and generosity of ordinary citizens the whole world round. People think of loved ones and family they may have lost touch with. Not just in movies and television, we do see some people pause and reflect on family and friends even though it may be just a fleeting thought. Why is this? If you pause and ponder in your heart what do you see and hear all around you? We see nativity scenes. We see Scripture referencing the Christmas story on cards, on billboards and signs. We hear Christmas Carols in shops, malls, department stores and blaring over the radio. Many of these Carols are classic hymns referencing Jesus and His glorious birth. What we are seeing and hearing is the globe exalting the name of Jesus. He is the Prince of Peace. When the name of Jesus is lifted high it shifts the atmosphere. Certainly, we still see evil and unkind acts in the World. Sure we see strangers battling in the store for that "perfect" gift. In spite of that, in the midst of the daily grind, pause and reflect. Look at this time from a different perspective. See if not, just briefly, how Jesus' name is uplifted and His goodness is spoken of. People around the globe are singing Carols and they don't even realize they are lifting high the name of the Messiah, the Prince of Peace, the very person of Grace. With this occurrence, it's so clear now why there is just something special about the atmosphere. Take note. In recent years, have you heard of the "war on Christmas"? Certainly, some of this rhetoric can be political in motive. However, there have been attempts by "secular progressives" to remove all mention of the birth of Christ in public square. This has nothing to do, in reality with left or right wing politics. Sure it manifests itself this way, but the attempts to remove Christ out of Christmas is the work of the enemy because he hates the name of Jesus being exalted. Even if the local leaders ban any public displays of Jesus, they can't stop it all. We can still show the love and Grace of God in this season. We can be the light of Jesus by lifting up His name by doing kind deeds in His name. No matter what law men may pass there is no law they can pass to stop the manifested fruit of the Spirit. Understanding just what makes Christmas so special even to the secular world, we can see God's heart for us all. When we uplift Jesus we are uplifting the Grace and love of our Almighty Father. Before Christ came, the World was divided by the wall of separation of either being a Jew or a Gentile. The Gentiles were strangers from the promises. When Jesus came, God revealed this wall is coming down. This separation is over. This passage has been used to teach, that God's offer of peace and goodwill was only toward deserving men. Men of "good character." This performance rooted theology flies in the face of the revealed will of God. First, we know not a single one of us are just men or good men in and of ourselves. Apart from Christ, we are spiritually dead and follow the leading and promptings of our own unrenewed intellect and appetites. Secondly, if we were already deserving and of good character why did we need Jesus in the first place? The reality is these glad tidings were heralding the good news of Grace and love. This announcement was to let mankind know that in Christ and because of Christ's Finished Work any man, be they Jew or Gentile will find favor with God. That God is well pleased with men. In other words, this is the message of reconciliation. That in Christ, the barrier between God and man, which is sin, is done away for all eternity. No more is there a sin problem. Now there is only a reception problem. People only need to personally receive this generous offer of everlasting life. His everlasting love and over the top Grace are the true reason for the season. For God so loved the World, He gave us His Son. His love for us sent Jesus to be the propitiation for all the sins of all mankind. None of us were deserving of this gift. No one had merited enough favor with God by their deeds. Jesus didn't die for us because we weren't really that bad. Our faults, failures, and separation from God was surely an illusion, a mere mental misunderstanding, right? No, we were in need of salvation, all of us. Each and every one of us. We were lost, spiritually dead and apart from God in our thinking and ways. We mustn't take the amazing out of Grace. God's great love for us and His amazing Grace, saw our plight and stooped down and became one of us. He took upon Himself our sins and sickness and bore all the curse on that Cross. God's love and great Grace was the reason for it all. 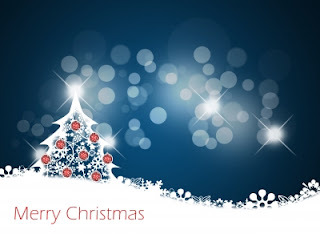 As you fellowship with friends, loved ones and family ponder the real reason for the season. As He gave, be generous as well with those around you. Certainly, I am not talking about going into debt to buy for others, I am just saying be generous in your love and kindness and whatever you can give, do it cheerfully and with the motive of love and Grace. Even if you're alone this day, know you are never truly alone. He is with you and His love is overflowing towards you. As believers, be a blessing to someone who is alone if you can. Merry Christmas, and celebrate Jesus, the Father's love, and great Grace this day. You're loved. You're forgiven. You've received the gift of no condemnation and are eternally secure. In Christ, we've received the greatest gift of all, Jesus. It's the most wonderful time of the year. It's time for cheer. It's time for families to gather together. It's time for lights, tinsel, and decorated trees. It's the season of peace and joy. It's the time to gather for candlelight services. It's also the time and season for unScriptural traditions of men. The Christmas season is a wonderful time of the year. It is joyous to celebrate it. In this time of year, we have the eyes and ears of many. Christmas carols are played in malls and town squares. People are singing about Jesus and uplifting His name and they may not even realize it. With all eyes on the Church, let's stop perpetuating myths, and traditions of men. As one minister wisely said, they already attack the faith through evolution and other means to discredit the truth, why help in their assault on the truth by spreading lies? We need to stay with the Scriptures when it comes to proclaiming the birth of Christ. 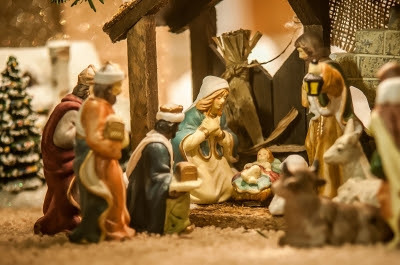 UnScriptural songs, incorrect nativity scenes abound in this season. Let's share the true Christmas story free from tradition and have a greater impact. What am I referencing? How many wise men were there? Oh, that's easy three right? No, that is the traditional view. We can attribute this tradition to songs like "We 3 kings" and people not actually reading the Bible. We are never told how many there were. We are only told they were Magi. They likely had some dealings with astronomy. We are not told how many there were. Some come up with three as the number because they brought three gifts. Let's stay with truth and disregard tradition. We don't know the number of the wise men. We just know that there were wise men from the East who came to see Jesus. I know you spent money on that Nativity set. I know you bought those Christmas cards that depict the Nativity. You might want to reconsider once you compare those cards and sets with the Gospel accounts of Jesus birth. If your Nativity set or cards have the wise men present then you just bought a religious tradition untruth. The truth is the wise men weren't there for His birth. That may be news to you but go back to Matthew and Luke and verify for yourself. After Jesus was already born in Bethlehem, wise men from the East came. We are not sure the exact time but based on Matthew 2, it appears that 2 years have passed. Well, when did the Wise men come see Jesus? A young child isn't a baby. A young child in the house isn't a babe in a manger. The Scripture refers to Jesus birth as a babe wrapped in swaddling clothes. When the wise men came He is a young child. How could the wise men be at the birth of Christ, when it is clear they were still following the star while Christ was born in Bethlehem? The wise men weren't a witness to the birth in the manger. What's the point? The point is simple. Let's share the story of the Savior's birth. But let's share the true story not a story muddled by traditions of men. This is one of those things that bother me. Traditions and untruths are perpetuated Sunday after Sunday by singing unScriptural songs. I don't like songs based on Christianity that ignore the Word of God. At this time of the year one of the greatest unScriptural songs is "Mary did you know". I know this song sounds sweet and sentimental and Christ-exalting but it's so Biblically illiterate. You need to go back and re-read Luke 1, here. Did Mary know? If you read Luke 1, you will see Mary before she was pregnant the angel visiting her. So when she was carrying Jesus in her womb, yes Mary knew that her son was the Savior. You really want to make that song Scriptural? Then change it to Mary asking you did you know the child she was carrying can save you, deliver you or heal you? This is the most wonderful time of the year. Jesus is being proclaimed all throughout the known World. People are singing carols and in unison, the planet is unknowingly declaring the glory of God. Let's celebrate this season of love, peace, and goodwill by sharing the true Christmas account not traditions of men passed down from generation to generation. 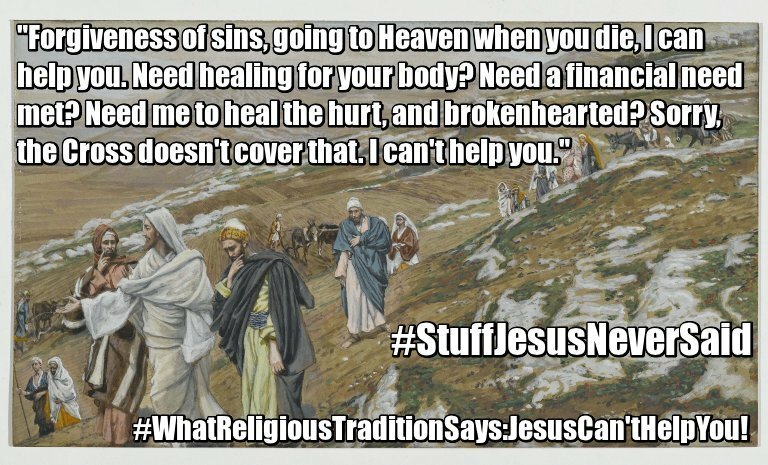 Jesus Can't Help You: the Real Lie of Religious Tradition. In our last study, we saw that God's provision isn't a lottery system rooted in performance and rewarded to believers upon merit. We also brought balance. God is our healer, God is our provider. He is a good Father. Yet we see so much suffering in this World. We must acknowledge that is a fractured creation. It is a fallen World. In a fallen World, we are susceptible to poor decision making. Money managing errors, poor choices in our eating, and adopting unhealthy habits. Why is this? Because a broken world also corrupts our thinking. We also see evil arise in a fallen World. Men who are corrupted inwardly and outwardly cause suffering and torment to those around them. Nations whose God isn't the Lord serve false gods and systems of thought. These carry consequences of despair and desolation. In all this, what are we to expect as believers? What about God's kids? While we aren't preaching fantasy that all our days will be flowery beds of ease without any interference, we still need to realize Jesus is still the Lord. He is the Victor. God is on the throne. He is triumphant. I love Jesus' words here. Note He said the Father is with Him. He then says be of good cheer I overcame the World. Yeah, there are tribulations but that isn't the focus. Jesus said in Him there is peace. What this means for us is, no matter what the situation or circumstances, we are never alone. He is always with us. This week I came across a moving story of a veteran who suffered from PTSD. The PTSD issues were overtaking his life. He finally got saved. Sadly, the symptoms were still there. The torment was relentless. Sadly, he had gotten saved in a church that didn't teach much but that Jesus can save you. On advice from his wife, he met with the pastor. After the meeting, he came home. His wife asked how'd it go? He said the pastor said, "Jesus can't help you." He then kissed his wife and went to another room and took his own life. This shook me inside and out. Then it dawned on me. This is truly the real message of religious tradition. No matter what the subject, the answer is the same. Cut away the deep theological terminology, the denominational lingo, ritualistic religiosity and the experiential claims, and the answer is the same. Jesus can't help you. Religious tradition acknowledges that if you accept the Lord, you're born again. You're saved, that's the limits of what God can do. After that, there isn't too much God can do for you. Forgiveness of sins. Religion will agree God forgives. However, this is only your past sins. What if you want your future sins forgiven? Jesus can't help you. For your future sins to be forgiven is an impossibility. You must confess and repent or turn away from sin for you to be forgiven. Because you can't do that until you first sin, there can be no future sins forgiven. If your future sins were already forgiven, then that would give us a license to sin. Jesus says otherwise. In the Finished Work, He forgave us once for all time. When you believe in the Lord and accept what He did you're forgiven for each and every sin you have ever committed, the ones you are committing and even the ones you haven't committed yet. Eternal Security. Religious tradition will say there is security for the believer in Christ, but you can lose your salvation. You want to be unconditionally eternally secure? Jesus can't help you. You must perfect the work He began in you. You want to ensure you're going to make it to Heaven? Jesus can't help you, but you can help yourself by not becoming entangled in too much sin. You must never turn back or backslide. If you endure, stay sin free and forgive everyone then perhaps you will make it. Jesus says otherwise. In Christ, we are eternally secure. Our salvation is anchored in Christ work, not our performance or endurance. We are sealed until the day of redemption, not until the day we sin too much or walk away. We are hidden in Him. What He began in us, He will complete it. Once we're saved we are eternally saved and secure. Holy Spirit and His Gifts. Tradition says there is a Holy Spirit. That is about as far as they will go. Want to walk in power from on High? Want to demonstrate His power to a hurting World? Sorry, Jesus can't help you. Those gifts and empowerment we read about in Acts were for only a select few and not for today. Jesus says otherwise. If you want power for this life you just need to ask! Jesus is the Baptizer in the Spirit. His Spirit bestows these gifts as the need arises. Just be an open vessel, filled or baptized in His Spirit and be expectant of Him to use you and He will. Sometimes it's a kind uplifting word. Sometimes it's a friendly smile. Sometimes its the boldness to go pray for someone right there on the spot. His Gifts flow in situations like this when compassion and seeing His name renowned is your motive. Healing. God is a healer. Religion can't deny that. Though I sometimes think they wish they could rip those pages out. Tradition says healing is hit and miss. He sometimes does and doesn't. Because we see so many not healed it won't happen for you. Need healing Jesus can't help you. Healing can't be in the Finished Work, you're on your own. Better find a good doctor. Have inner turmoil? Have depression? Fighting Addiction? This is just your cross to bear. Tradition would say we can perhaps recommend a good psychologist. Jesus sure can't help you. He is good. He is our healer. He paid for our wholeness in the Finished Work. Healing is in His perfect plan and will for our lives. Why then are some not healed? Tradition seems right when they say it's hit and miss with healing. So they err on the side of healing will not occur. What they don't get is it isn't God choosing not to heal. God healed us in the Finished Work. It is done. The issue is we live in a fallen world. We have an enemy, though he has been defeated is an outlaw spirit who resists God and the Church. Think of this. We were saved and forgiven but we still sin, why? Because we aren't saved yet from the presence of sin. Same as sickness, disease, and heartache. We Trust in the Finished Work. We exercise faith in what is done. Many many times the healing comes. Other times, we see this fallen World at work along with an enemy opposing us. The truth is in Christ there is no loss for the child of God. Even if the disease strikes hard and fast and gets a head start on our faith and before the Finished Work can fully manifest in our lives, we still win because we are ushered into Heaven to be with Jesus and we have a brand new body! What a deal we got! Jesus did it! Financial provision. Got a need? Well, Jesus wants you poor and humble. Got a bill due? Sorry, Jesus can't help you. Surely the Cross doesn't make a way for help and provision in this life. You're on your own. Better call the Bank. God is a good Father. He doesn't desire to see us unable to pay our bills, to have unreliable transportation and to starve to death. Yet we do see some in poverty and in famine. Why is this? Again this is a fallen World and evil men exploit others. This is why we want and pray for His supply in our lives. If we are blessed we should do all we can to help. There are relief programs that are designed to help the needy. How then do we see supply? God gives us the wisdom to help us better manage our goods. He gives us His favor. Favor opens doors. Listen, no matter what this favor extends to all believers on this planet. He is no respecter of persons. He can and does show kindness to all His kids, not just those in the West. We just have to open our eyes and see His hands moving. Religion Lies! Jesus IS our present help! The good news is we do have a help and hope in Jesus! He is our present help in all our times of need! Tradition doesn't know or understand how to receive from their Father. They excel in unbelief because sadly, many have never had a true encounter with the risen Christ. He is majestic, triumphant and victorious! When the Champion lives within we can't help but overcome. In summation, lay aside the lies of tradition. Jesus is there for us no matter what. He is in us and upon us by His Spirit. He is our peace and comfort in the midst of the worst the enemy and this fallen World may bring. He is our healer and provider. He will never leave or abandon us. Contrary to religion Jesus can help you! Understanding the Gospel: What is the Prosperity Gospel? Have you ever heard of the prosperity gospel? Have you heard that label used to describe various ministers or ministries? The real question is do you know what the prosperity gospel or message actually is? Traditional Christianity often assigns labels to church groups they don't like or organizations they disagree with. The heresy label abounds. What I'd like to do is clear away bias, and traditions and just look at the substance of what the prosperity gospel actually teaches and whether it's Biblically accurate or is indeed erroneous and false. My goal isn't to fight or accuse, I sat in prosperity gospel circles for ten years allow me to share what it actually is. First, we need to establish that not every teaching about finances or healing is the prosperity gospel. There are Christians who deny healing is for today and believe that tongues are mere gibberish. So any church who prays for the sick and believes in the Gifts for today are dismissed as prosperity gospel preachers. We also must understand there is a difference between extremism and error. Believing that God is a good Father isn't an extreme. If you believe God is good, that He doesn't send or ordain disease, disaster, death, and despair don't mean you ascribe to an extremist theology. But doesn't the prosperity gospel also teach nothing bad will ever happen if you have enough faith? Yes, some circles teach that. The differences are we know we live in a fallen world and that is why we see sickness and suffering abound. We don't say bad doesn't occur in this world, just saying God isn't responsible. Because God is a good Father, we can believe God for financial provision in times of need. We can believe God for healing when symptoms arise. Jesus is our hope and present help. This isn't extremism. So don't accept the extremist label bias tradition-bound believers try to label everyone with just because you trust Jesus for help in time of need. What is the actual prosperity gospel then? The prosperity gospel is centered around seed faith. The prosperity gospel focuses more on wealth than any other subject. As for health, it teaches if you're sick it's your fault and you lack faith. In truth, this should be called the always healthy and wealthy seed faith gospel. Let's thoroughly examine prosperity gospel teaching. This teaching starts with the tithe. It teaches you are to give 10% of your gross earnings to your prosperity church. Now tithing is just the beginning. It serves a dual purpose. In poker, you have to ante or buy into the game before you can bet. The tithe is the ante. See according to the prosperity gospel, you haven't even given until you first tithe. The tithe isn't yours so you haven't given until you give your own money. So the tithe is first like an ante, funds you deposit so you can participate in the game if you will. The second purpose of the tithe is for protection. The tithe is owed to the Father so your stuff will be protected. It's literally a protection racket. If one had a car accident, the first thing many ask is where you paying your tithes? If not then it's your fault for not giving God His protection money. Once you pay your tithe, then it's onto giving or sowing seeds. Whats the difference? The truth is, an offering is what you give when you don't have a pressing need. When you are in need and give you are sowing a seed for your need to be met. You have a need, so you are basically bribing God to pay attention to you and bring to you the supply. Say you gross $1,800, you owe God $180. Then you are to give above that to begin seedtime and harvest. You give say $50. You then are supposed to expect either, $50 times 30fold return equals $1,500. $50 times 60fold equals $3,000. $50 times 100fold return equals $5,000. This is the foundation of the prosperity gospel. Soon after this wasn't enough. Teachers of this view began teaching about giving into good soil, naming your seed, giving personal financial gifts to the minister, and giving unto the rich and not the poor, a concept called blessing the blessed, the first fruit offering. They also ascribe to a view that the wealth of the wicked will one day come into the Christian's hands. Allow me to briefly explain these aforementioned views. Giving into good soil means only give to churches and ministries that teach you're supposed to be rich. Don't give into any other ministry or it won't produce a blessing. You're to not just sow a seed but name or target your seed. In other words, if you had a need for a new job, give and keep giving saying this seed is for me to harvest a new job. Again, bribing God to bless you, or buying your miracle. 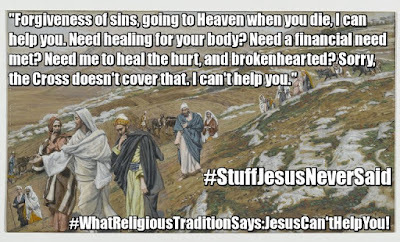 When Jesus was on Earth He never merchandised His anointing or healing or miracles. Peter never gave him a financial gift before He caused the miracle of the near boat sinking catch of fish. The idea of giving money to the minister is rooted in the concept that if you sow money into him or her what giftings they have will show up in your life. Blessing the blessed is a concept rooted in greed. It uses a passage in Proverbs about giving to the poor, here, to show that there is not a rich return on giving to the poor. so "bless the blessed", or put money in rich people's pocket, they are good ground for sowing. The first fruit offering is a TV preacher gimmick wherein you give the first fruit of your increase. Meaning if the first time you made say $10,000 you would give an additional 10% as a first fruit offering. The wealth of the wicked transferred to the just concept is a Graceless view. Jesus died on the Cross, purchased our redemption if we simply believe. He didn't die to get the lost person's wallet or checkbook. He wants people's heart, not their paycheck or possessions. These basically sum up the entirety of the prosperity gospel tenets. The prosperity message I've expounded has sadly turned into an almost lottery like fantasy designed to remove money from the hands of gullible Christians. It preys on lower income families. It makes lavish promises that one day they will become rich and will be able to drive a Lexus and take summer vacations in Paris if only they keep giving 12%, 17%, 20%, 30% or more of their income to a local church or TV minister. What these concepts are, even though they are rooted in greed, are defined as extremes. They are taking Scripture and pushing them to extreme areas. They are pushing them out of bounds so to speak. The problem is any truth taken to extremes leads to error. Now, these extremes are an untruth. There is no Biblical precedent for someone giving God $100 and then receiving $10,000. These ministers take Luke 6:38, 2 Corinthians 8 and 9, Mark 4 and 10 and Galatians 6 and interpret them out of context and push them to extremes. As wrong as these extremes are they aren't the real error of the prosperity gospel. What is the real error of the prosperity gospel? Any truth taken to an extreme leads to error. Error and false teaching Biblically defined, is when false teachers deny the deity of Christ, deny the authority of the Scriptures, or change or alter the Gospel or salvation message. A gospel of works and performance is, therefore, error and false teaching because it contradicts the Gospel of Grace. The real error of the prosperity gospel is they have turned the Gospel into a message of works, performance and attempts to buy and earn the blessings and favor of God. If any benefit of salvation requires works or performance to receive then all benefits of salvation must be by works and that is bad news and that isn't the Gospel. The Prosperity gospel is a performance driven, works oriented gospel that condemns, hurts and destroys. 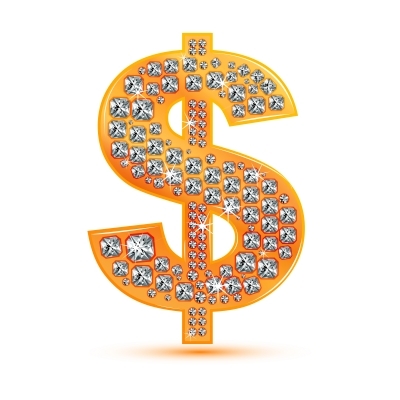 Marriages crumble and dissolve due to stress and pressure of trying to manifest money. People walk away from God because they feel unworthy or that God lied to them. There is one passage that sums up this message. People are promised a harvest for giving much, and when it doesn't manifest soon their eyes quit seeing the Savior and turn inwardly. They begin to search their heart for hidden sins or addictions. Search if they're harboring ill will, resentment or bitterness or unforgiveness. They also search their heart if they're in faith or have allowed doubt and unbelief to corrupt their faith. Oh, wait you must be in fear they say to themselves, fear contaminates faith. So it must be fear of not receiving causing me not to receive. The excuses are endless and the peddlers of the prosperity gospel conveniently insulate themselves from anyone challenging them on their teaching by teaching it's up to your faithfulness and performance to receive. So instead of Jesus being your provider you and your perfect obedience, performance, faithfulness, sinlessness, and financial giving become your provider. When you tithe and give and don't see a return they say, "well you gave with the wrong motive", but they took your money regardless of your motive, and when they instructed you to tithe and give offerings they specifically stated if you give you will be blessed financially. What has God actually promised to Christians in this life? God isn't saying for eternal salvation and receiving righteousness the Finished Work provided it, but for financial needs or receiving healing, you're on your own. In the Finished Work, He has given us wisdom and favor and strength. He gives us the wisdom to manage our finances. He gives us the favor to find jobs and better jobs and to find good bargains when we shop. He gives us the strength to work and be productive. What about the suffering and famine in many lands? That's why we take what blessing we have and become a blessing to the needy and unfortunate. We first must be blessed to be a blessing, and that isn't prosperity extremism. In summation, the prosperity gospel is an extreme teaching that produces the error of works and performance-based faith. When people are promised by men that God will do something and it never happens condemnation overtakes them, they wonder whats wrong with them. In the long term, people begin to blame God for lying to them and they walk away from God hurt, broken and bitter. That is the true fruit of the prosperity gospel.